Anti-Inflammatory Foods List — What’s Good For You? When inflammation in the body gets out of control, that’s when the body’s natural defence starts working against itself, leading to so-called “auto-immune diseases”. The onset of this is preceded by chronic inflammation, in which harmful stimuli continually challenge the body’s mechanism to fight inflammation. As it is, chronic inflammation can be caused by what we eat: those food items that are labeled as pro-inflammatory foods. You can learn about the top 5 foods that cause inflammation from our earlier article. Fortunately, nature has provided for many anti-inflammatory foods that can help us stay healthy. Here, we look at an anti-inflammatory foods list to understand what we should eat that is good for the body. As the name suggests, anti inflammatory foods help the body reduce and fight inflammation. On top of this, most of them actually work to boost our health as they are loaded with essential vitamins and minerals. Best of all, these foods usually taste great too. In each list of anti inflammatory foods that follow, we highlight up to 6 items that rank high in their respective categories. Note that the “limit” is intended to keep this article to a reasonable length. However, more anti-inflammatory food items exist and you can find them by doing an online search for “anti inflammatory foods list”. Much like vegs, fruits are also rich in carotenoids and flavonoids with similar properties. Again, organic produce is best. Always choose fruits that are fresh and eat them immediately after cutting or peeling. Go for fruits with low glycemic index such as the following and be spoiled for choice with the wide variety. It is well recognized that omega-3 fats are strong anti inflammatories. Therefore, eat fish that are rich in these oils, such as some of those in this list. If you prefer to take supplements, look for high content of EPA and DHA. If you are a meat lover, always opt for lean cuts and remove skin and underlying fat. Choose eggs that are omega-3 enriched and cut down on natural cheese and yogurt. And eat a healthy portion of beans and legumes for your fiber intake, which can help lower inflammation in the body. As opposed to common mushrooms like portobello (aka button mushroom), the mushrooms listed here contain compounds that enhance the body’s immune function. When available, try wild mushrooms for a change. Certain nuts and seeds are known to be good pain fighters. Plus, they can satisfy your craving for snacks (think chips and sweets) that usually do no good for the body. Catechins in green tea have antioxidant properties that fight inflammation. Instead of your usual cuppa, drink green tea and cut down on sugar and cream at the same time. And drink plenty of water to cleanse your body of toxins. Virgin olive oil is rich in polyphenols that protect your heart and blood vessels from inflammation. The mono-unsaturated fats found in olive oil are helpful in reducing rheumatoid arthritis. Avocado oil has similar properties. Learn this secret to longevity in the Mediterranean. Are You Ready For an Anti-Inflammatory Diet? With such a wide array of anti-inflammatory foods, there is no reason why you should not consider eating properly and doing your body a huge favor. Reduce and eventually limit your intake of foods that cause inflammation and start soon on an anti-inflammatory diet. Interestingly, there is actually a food pyramid for anti inflammatory foods — this can be found at www.drweil.com. You can use that pyramid with the natural anti inflammatory help we have provided when you consider how to change your diet. I genuinely enjoy reading through on this website , it has fantastic content . “Heavier-than-air flying machines are impossible.” by Lord Kelvin. 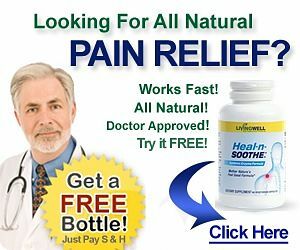 The webmasters of Natural Anti-Inflammatory Help are participants in affiliate marketing. When visitors buy certain products via this website, the product merchants may award us commissions for any referred sale; however, visitors are not charged more for their purchase. Notwithstanding such rewards, all of our articles, including product reviews, are presented completely without bias and are not influenced by the commissions we may earn. We hope that this full disclosure demonstrates our sincere intent to operate an honest, ethical and reputable business. You can get more info at the Consumer Education Portal (by clicking on the link). Treating Arthritis with Common Vitamins and Minerals?